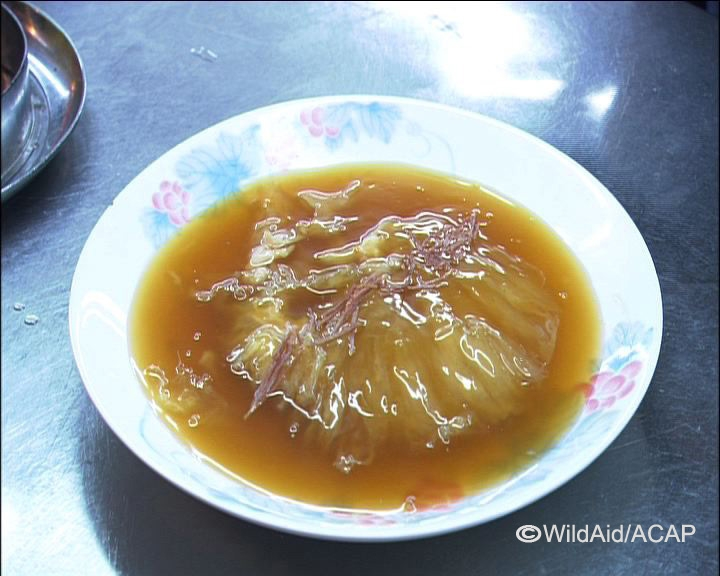 In 2014, WildAid published research indicating a significant decline in the shark fin trade: Vendors in China reported a 50 to 70 percent drop in sales over the past two years, with prices dropping by half. About 85 percent of consumers surveyed in China said they had stopped eating shark fin soup, and nearly two-thirds of those cited public awareness campaigns such as those featuring WildAid ambassador Yao Ming as a primary reason for doing so. A new study released this week from Hong Kong reports a similar trend. According to research co-authored by marine conservation group BLOOM and the Social Sciences Research Centre of The University of Hong Kong, nearly 70 percent of Hong Kong residents surveyed said they had cut back on shark fin soup — or they had stopped eating it altogether, in what was formerly the epicenter of shark fin consumption. Perhaps even more encouraging, over 90 percent of residents said they believed the Hong Kong government should ban the sale of wildlife products that involve killing endangered animals, echoing WildAid’s findings that 95% of mainland Chinese surveyed supported bans on ivory sales. The survey’s findings come amid intensifying campaigns both in Hong Kong and mainland China against eating shark’s fin. Basketball star Yao Ming in 2011 began appealing for people to stop consuming shark’s fin, for example. Bloom also said the number of hotels in Hong Kong that are refusing to put shark’s fin on banquet menus doubled to about 16 in 2014 compared to 8 in 2009. 81 percent of those surveyed cited environmental concerns as the reason they have decreased consumption of shark fin soup. The original survey revealed that of over 1,000 residents interviewed, almost 80 percent found it acceptable to exclude shark fin soup from wedding banquet and 59 percent had decreased consumption due to environmental concerns. Consumption at wedding banquets has fallen from 91 percent in 2009 to 72 percent in 2014. Consumption at Chinese Lunar New Year has fallen from 38 percent in 2009 to 14 percent in 2014. 94 percent of respondents said they would not eat a species if they knew it was threatened. 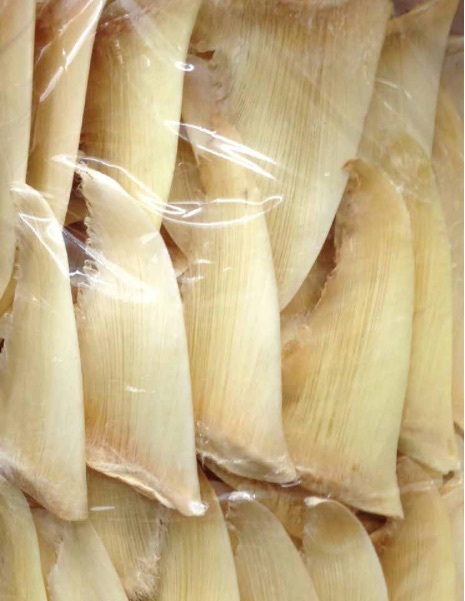 This latest evidence of softening demand for shark fin comes as a growing number of domestic and multinational companies distance themselves from the fin trade. Last week, American Airlines announced via Twitter that it no longer accepts commercial shipments of shark fin for transport — this after wildlife groups discovered the airline had shipped shark fins from Costa Rica to Hong Kong in December. And earlier this week, InterContinental Hotel Group said it would stop serving shark fin in all of its 4,800 owned, managed or franchised properties, according to a statement. "[T]he vast majority of hotels now adhere to this directive, we are in the final stages of implementing the change in a handful of properties,” IHG announced Tuesday (read more via Mubrella Asia). Upon full implementation of a ban, IHG would join Starwood, Sheraton, Marriott and other global hotel companies in removing shark fin from the menu in its restaurants.